We’d love your help. Let us know what’s wrong with this preview of Fireflies by Heather Gordon-Young. To ask other readers questions about Fireflies, please sign up. I would highly recommend this book to anyone looking for a story they cannot put down. I was engrossed in the writer's journey from the moment I picked it up. Heart-wrenching but beautiful. This is a book you cannot forget. It has stayed with me long after reading it. A must read!! Full disclosure here, Heather Gordon-Young – the author of Fireflies: Finding Light in a Dark World – is a distant cousin of mine. We've never even met, but I'm a writer too and another family member put us in touch because her first book was coming out. The reason I bring it up is because the suicide of Gordon-Young's brother – which makes up part, though not all, of this book – rocked through our family over twenty years ago. Maybe 'rock' isn't the right word. Because people didn't really want Full disclosure here, Heather Gordon-Young – the author of Fireflies: Finding Light in a Dark World – is a distant cousin of mine. We've never even met, but I'm a writer too and another family member put us in touch because her first book was coming out. Maybe 'rock' isn't the right word. Because people didn't really want to talk about it. Or even think about it. We all knew how talented Jimmy was. Copies of his work circulated through the family and there was no question: he was a great wildlife artist. Nobody wanted to think that such a gifted young man in his twenties would shoot himself. "Afterwards" – a word Gordon-Young uses with such grace in the book – we all worried about the family. His parents, freshly separated. His wife. His sister. I especially thought about her because I had a brother myself and I couldn't imagine having to lose him that way. As the years past and the story of Jimmy's death took its place in the deepest threads of the family fabric, I continued to hear about Heather. I already knew she was very religious, had in fact studied Theology. Then, not long ago, I heard she'd become a writer. When I was politely asked to take a look at the galley of Fireflies, I don't know what I was expecting. But certainly not the tempest of emotions the book sent through me. It is clear Gordon-Young has been on a path to write this book all her life. It's not just about her brother's suicide. It's not just about her lifelong quest to find help for him, which turns the story into an adventure that takes her from lecture hall arguments with famous academics to the distant plains of Africa where witch doctors, seers and even God make appearances. It's not just a story about trying to make sense or find peace after a family tragedy. It is a brave, eloquent epic journey that is part love story, part mystery, part bone-chilling horror. Because there is real horror here. This book had me right from the beginning! After reading the first paragraph I began to wonder "what was the dark and why did the dark want the authors brother?" The author takes you on a journey from childhood to adulthood with all the joys, pains, losses, gains, learnings and questionings that go along with it. A spiritual journey that focuses on the light and the darkness that is a part of this world. After reading the book I could see the intricate plan of God so delicately and sometimes not This book had me right from the beginning! After reading the first paragraph I began to wonder "what was the dark and why did the dark want the authors brother?" The author takes you on a journey from childhood to adulthood with all the joys, pains, losses, gains, learnings and questionings that go along with it. A spiritual journey that focuses on the light and the darkness that is a part of this world. After reading the book I could see the intricate plan of God so delicately and sometimes not so delicately thread throughout the life of the author. I loved how the author asked the hard questions in life, questions I have asked myself many times. However instead of answering the questions the author lets you ponder them in your own heart. The author explains her spiritual growth in a unique and inspirational journey which truly made me reflect on the blessings and challenges that are a part of my own spiritual journey. Many times throughout this book my spirit was lifted to contemplation and prayer. At times I found myself rejoicing with the author as I was a witness to the greatness of God in her life and at other times I was shedding tears of sorrow as I read about the difficulties and sufferings we as humans so often share in this life. I felt connected to the author on a spiritual level but also on a purely human level with our shared joys, sorrows and questions about right and wrong. A poignant and compelling story dealing with the heartbreak of mental illness and the sometimes inadequate support of the church in helping with these situations. This search for answers to the darkness of mental health is superbly written and describes a journey which few could imagine. I couldn't put the book down...a great read. I loved this book. A friend commented that Heather Gordon is a poet,and she is right. There are no wasted words. Gordon includes so many captivating details. I have talked about the book with my friends as it is a compelling and courageous story. 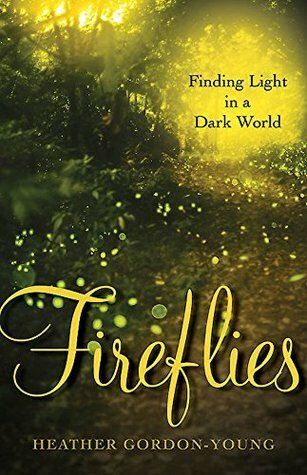 Fireflies: Finding Light in a Dark World by Heather Gordon-Young was a beautifully written, provocative read. Heather shares her struggle to make sense of her brother's battle with mental illness, a disease so often misunderstood. When she turned to the church for answers she was often left with more questions, which not only resonated with me and my own struggles with my faith, but also helped me to understand that it is a sign of strength, rather than weakness, to question. I was grateful that Fireflies: Finding Light in a Dark World by Heather Gordon-Young was a beautifully written, provocative read. Heather shares her struggle to make sense of her brother's battle with mental illness, a disease so often misunderstood. When she turned to the church for answers she was often left with more questions, which not only resonated with me and my own struggles with my faith, but also helped me to understand that it is a sign of strength, rather than weakness, to question. I was grateful that Heather shared her journey to find peace in a dark place -- her story touches the reader deeply and shows us that we can often find light in a dark world. Highly recommended! A compelling story bravely written in a beautiful voice. Heather Gordon-Young shines a powerful light into a dark piece of her personal history with raw and intimate honesty. Tenaciously seeking answers, understanding and help for her deeply wounded older brother, she shares her journey with her readers with tenderness, hope and strength. This is a valuable book for those brave enough to read it. Fireflies is an intense, raw, heart felt family story that once started cannot be put down. The story is a taught description of how the most tender and creative in the world are also the most exposed to the harshness of the world. The book is accessibly literary with vivid images that give the story life and make the read captivating. 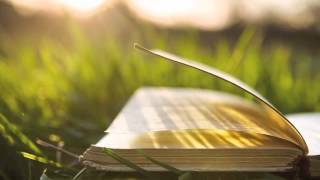 It is a book that brings ideas and thoughts to life but does not provide pat answers. I highly recommend reading Fireflies. A beautifully written, image ridden tribute to a troubled yet well loved brother. It is a heart wrenching and yet uplifting window into the pain and recovery of a family's journey through mental illness. Heather has a way of inviting us into her life as a child and young woman- an ordinary life filled with extraordinary insight. "Fireflies" is full of childhood vignettes that remind us of how we develop into the adults we are. This is a truly engaging story. WOW this book is so good. Cant wait to order it off amazon. I feels this book has gained a lot of publicity on the south coast & am eagerly awaiting my shipment. Gosh so excited to read this page turner!!!!!! Well done heather. 5 cheers for you! Hip hip hooray!!!!!! I'm very upset that my previous review was removed because I would like people to know that this book is WORFUL AND NOT ACTUALLY ABOUT FIRELFIES.